Here at The Party Field, we pride ourselves on being highly selective with the fields we choose to work with, in order to ensure the most stunning back drop for your country wedding or party. Our flagship field in Lewes offers amazing views of the rolling South Downs hills and has hosted some truly magical events. 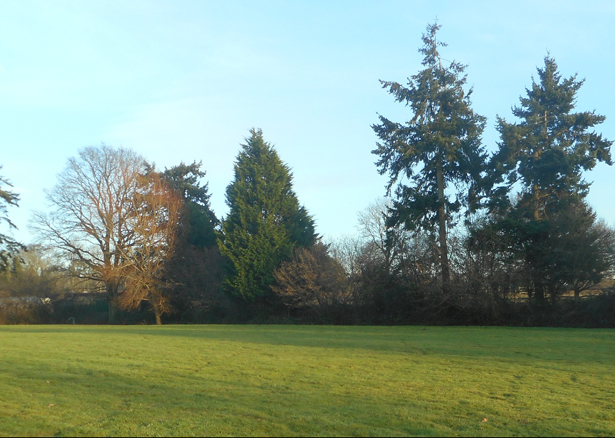 We also have a second Sussex field, in the pretty village of Pulborough, as well as the field it offers both woodland areas, and an amazing lake. 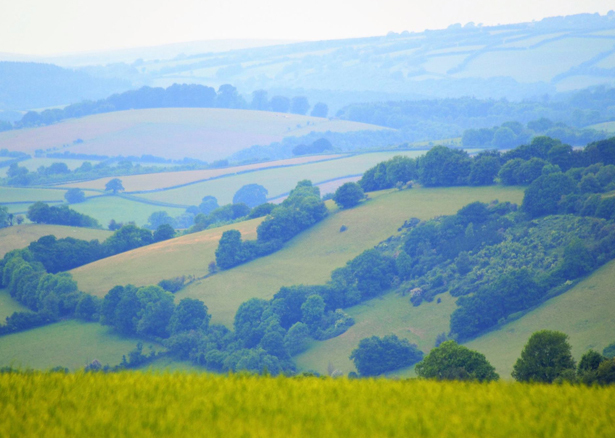 Alternatively, we have the most beautiful Exmoor field which is set in the picturesque village of Huntsham and with panoramic views of the stunning Devon countryside. We are passionate about upholding this high standard to ensure we only represent the highest quality fields. The Party Field is located on Iford Estate, Nr Lewes, Sussex, a successful working farm combining both arable crops and a beef herd. In fact your neighbours may well be Sussex cattle and their calves, although we will make sure they don’t share the party! The field is located within the South Downs National Park, in an area known as the Lewes Brooks. It borders a Site of Special Scientific Interest, and is carefully managed to enhance the populations of several bird species, as well as the rich fauna found in the Medieval ditch system. There are plenty of footpaths enabling you to fully explore the area and a cycle route from the field which can link to the South Downs Way. This is truly somewhere with tranquil beauty that you can escape from it all and relax and party with your friends and family. 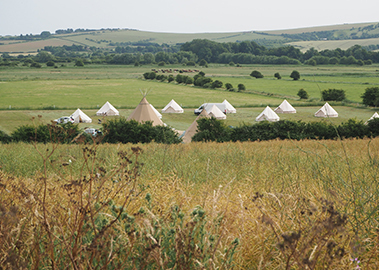 Our field is situated about 25 minutes walk from the historic town of Lewes, Sussex. It is accessible by foot or car and ample parking is provided on site. It is also a short walk from the train station which has good connections to the rest of the country, being only an hour from London. The Lewes taxis are familiar with the field and taxi rides can be easily arranged from opposite the station. We will send you detailed directions when book a viewing. Lewes, the County Town of Sussex is a vibrant town with a wide selection of independent shops, restaurants and pubs for you to choose from. The Party Field is a short walk from the Kings Head and the Swan Inn, both traditional Sussex pubs serving good food and wine. There are many more pubs, restaurants and bars in Lewes town centre. The surrounding villages also have welcoming family pubs with good food and local beers, a good place to start is the Ram Inn at Firle or the Half Moon in Plumpton. Lewes has a mainline station with connections to London and Brighton. By train it takes only 20 mins to get into Brighton and just over an hour to London. Dyke Farm is located on the border of the South Downs National Park. The tree lined field is a perfect size for a festival style country wedding, the large flat open field opens out on to a picturesque lake which is surrounded by a wooded pathway, offering ample opportunity for amazing wedding photos. The fire pit can be located in clearing next to the lake, which is the ideal place to enjoy the evening sunset. An added benefit of this field is the successful fully stoked farmshop, brimming with local produce that is located on the farm. It is, as the bird flys, opposite the RSPB Pulborough wetlands which is a world renown site for migrating birds. Our field is situated about two miles from Pulborough village and the train station which has good connections to the rest of the country, with a direct link to Gatwick airport and Victoria, London is just over an hour. Brighton is also less than 50 minutes away. Taxi rides can be arranged from the station. We will send you detailed direction when booking a viewing. Storrington, the ancient village which is featured in the doomsday book, is less than 10 minutes drive and has a range of attractions, shops and restaurants to enjoy. There is a wealth of historic houses and gardens in the local area including Parham Park, Petworth Park and Arundel Castle . Dyke Farm is a short walk from the Rising Sun and White Horse, both traditional Sussex pubs serving good food and wine. 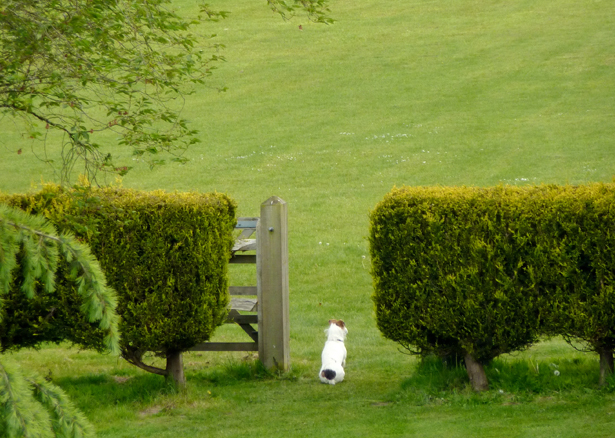 There are plenty of footpaths for country rambling and visits to the local pubs. Storrington is the mid point of the south downs way. The 3 star Roundabout Hotel is a mile from the farm and offers 24 rooms from single to luxury suites, there is also a good choice of B&B’s and hotels in the area. 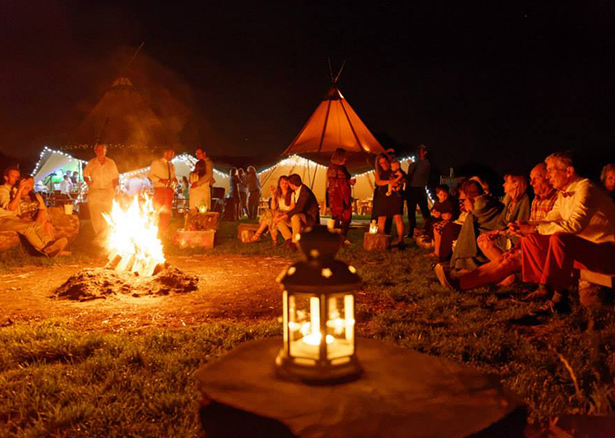 The Party Field is set in the centre of the ancient, family owned Huntsham Estate, nestled in the heart of the Devon countryside. The field has unrivalled views across Exmoor, with barely a house in sight. As you enter the field you will see the stunning views unfold in front of you. This is a truly tranquil place where the only thing that may interrupt the peace would be the local wildlife, what a wonderful place to enjoy an exclusive weekend with your friends and family. The picturesque village church is a few minutes away from the field and is the perfect place to exchange your vows before moving up the lane to enjoy your party. The area is renowned for its beauty and tranquillity, with the famous and stunning gothic mansion Huntsham Court set in the quaint village. The lovely village of Bampton lies 4 miles from the field with shops for all your needs and the award winning Swan Pub for amazing food. There is also a butcher with locally produced products, an award winning baker, a game deli also provides local meats and birds (try the duck and plume sausages and burgers simply delicious). The market town of Tiverton lies just 9 miles away for bigger supplies including large Supermarkets and any other eventuality. Tiverton has a mainline station with connections to London and Bristol. By train it takes only 15 mins to get into Bristol and just over 2 hours to London.